The Gershon Iskowitz Foundation in partnership with the Art Gallery of Ontario (AGO) is pleased to announce that Shuvinai Ashoona is the recipient of the 2018 GERSHON ISKOWITZ PRIZE AT THE AGO. 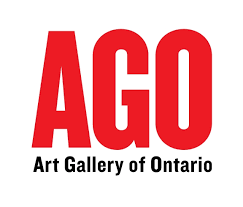 The award, which is presented annually to an artist who has made an outstanding contribution to the visual arts in Canada, includes a $50,000 cash prize and a solo exhibition at the AGO within two years. Celebrated for her large-scale drawings, enigmatic subject matter, and collaborative work with contemporary artists, Shuvinai Ashoona is a third-generation Inuit artist living in Kinngait, Nunavut. The dramatic changes in the North—the shift from life on the land to settled communities and access to popular culture—are reflected in her art, which challenges stereotypical notions of Inuit art. Increasingly, her constantly evolving work is included in national and international biennales and exhibitions such as Oh, Canada: Contemporary Art from North America in 2013 at the Massachusetts Museum of Contemporary Art (MASS MoCA), and Unsettled Landscapes: SITElines: New Perspectives on Art of the Americas in 2014– 15 at SITE Santa Fe. Jurors for the 2018 Prize included Daina Augaitis, Chief Curator Emerita at the Vancouver Art Gallery and Independent Curator; artist and 2015 Iskowitz Prize winner Sandra Meigs; Robert Enright, Professor at the University of Guelph and Senior Contributing Editor to Border Crossings; and Stephan Jost, Michael and Sonja Koerner Director and CEO of the Art Gallery of Ontario. Peggy Gale, President of the Iskowitz Foundation noted that “Shuvinai Ashoona has been creating remarkable, original images for many years and we are delighted to support her ongoing work at this time. It is a particular pleasure to look forward to her forthcoming exhibition, a special opportunity to experience this unique voice from Canada’s far North"
Daina Augautis, a member of the jury summarized the importance of this award, “Following in the footsteps of a creative family, Shuvinai Ashoona has a singular vision that bridges the reality of everyday life in Nunavut with a remarkably bold and vivid imagination. In her fantastical drawings, colourful depictions of the present brim with hope and possibility”. decade, lived independently in outpost camps at Luna Bay and Kangiqsujuaq, returning to Cape Dorset only for holidays or the arrival of the supply ship. came to prominence in the late 1990s, when her work was included in the Cape Dorset Annual Print Collection of 1997. A few years later, alongside her grandmother, Pitseolak Ashoona and her aunt, Napachie Pootoogook, Shuvinai Ashoona’s drawings were included in Three Women, Three Generations at the McMichael Canadian Art Collection (1999). Ashoona and Shary Boyle. In the online book published by the Art Canada Institute on Shuvinai Ashoona, curator and author Dr. Nancy Campbell defined this exhibition as “creating a new conversation, challenging old assumptions about Inuit art; for example, that it should be a singular production depicting animals, birds, or fish or figures of hunters and mothers”. Noise Ghost won the Ontario Association of Art Galleries Exhibition of the Year Award. “The act of drawing becomes a state of existence through her hands”, as defined by Sandra Meigs, artist and jury member. “Shuvinai’s vividly coloured, large-scale drawings evoke a complex world of fantastical creatures, daily life in Nunavut, weird images from popular culture, and earthly ruptures in the North. She draws through her experience, her keen observation, and her imaginative humour”. Work by Shuvinai Ashoona is in the collections of the National Gallery of Canada, the Art Gallery of Ontario, the Winnipeg Art Gallery, Canadian Museum of History, Justina M Barnicke Gallery, the Art Gallery of Guelph, Montreal Museum of Fine Arts and the National Museum of the American Indian, USA, as well as private collections. Details about Shuvinai Ashoona’s forthcoming exhibition at the AGO will be announced as they become available. Members of the jury suggested that consideration be given to announcing the awarding of the 2018 Prize to Shuvinai at Kinngait Studios in Cape Dorset. Located in Toronto, Canada’s largest city of 5.9 million, the Art Gallery of Ontario (AGO) is one of the largest art museums in North America. The AGO’s collection of close to 95,000 works ranges from cutting-edge contemporary art such as Untilled by Pierre Huyghe to European masterpieces such as Peter Paul Rubens’s The Massacre of The Innocents; from the vast collection by the Group of Seven to works by established and emerging Indigenous and Canadian artists; with a photography collection that tracks the impact of the medium with deep holdings of works by artists such as Garry Winogrand and Diane Arbus; and with focused collections in Gothic boxwood miniatures and Western and Central African art. Drawing on this collection—as well as collaborations with museums around the world—the AGO presents wide-ranging exhibitions and programs, taking special care to showcase diverse and underrepresented artists. A major expansion designed by Frank Gehry in 2008 with lead support from the family of Ken Thomson makes the AGO a highly-photographed architectural landmark. Visit ago.ca and follow @AGOToronto to learn more. The Art Gallery of Ontario is funded in part by the Ontario Ministry of Tourism, Culture and Sport. Additional operating support is received from the City of Toronto, the Canada Council for the Arts and generous contributions from AGO members, donors and private-sector partners.